Built for the modern day online reseller, the eTailThis eCommerce system brings you complete convenience and can be easily implemented into any current business, no matter what size. Using the eTailThis TurnKey eCommerce solution you can immediately start trading online within just a few days of signing up with us. Integrate multiple distributor and wholesale suppliers and extend your product ranges easily, offering your customers more choices with a system that works faster than ever before. eTailThis works with many of the leading UK wholesalers and distributors to maximise your online sales opportunities using Electronic Data Interchange (EDI) ordering. You can significantly simplify the order process with eTailThis, as our eCommerce platform was built to give total convenience for you and your customers. Built on the core of Magento, the world’s number #1 eCommerce solution, our eCommerce system brings power and convenience direct to resellers. With our system, Office Supplies, IT Equipment and Hardware dealers can maximise their sales on and off-line, while being easily able to process orders through our powerful platform. Online retail continues to be a key growth area in the online marketplace today with increasing numbers of business to business (B2B) resellers and business to consumer (B2C) traders able to maximise the benefits of online trading using the eCommerce solution from eTailThis. Whether you’re entering the world of online sales for the first time or want a way to maximise your online presence, eTailThis is the perfect choice. At eTailThis we understand that when it comes to online sales, a single set system doesn’t work for everyone, and that’s why we’ve built the first complete eCommerce solution. Our platform is completely adjustable, so we can create a system which helps you achieve your goals, no matter what you want to accomplish. Whether you’re looking for a powerful, modern storefront for selling your own products, want to give your customers a wide range of product choices from multiple distributors, simplify your backend management, or even develop a digital marketing strategy that brings you ahead of the competition, eTailThis can create a custom solution which works to help you. The eTailThis eCommerce solution is built on Magento, the industry leading eCommerce system. The latest development from eBay, Magento was built to give online traders a huge range of options for sales, and eTailThis makes it easy to add Magento’s powerful functionality to your business. As an innovative and experienced force in the world of eCommerce, eTailThis understands exactly how to maximise your return on investment for online sales. With the eTailThis eCommerce System your retail business gets EDI integration with every major distributor, and a highly convenient set of management functions. Full content management services for everything from plain text to rich, multimedia content as well as catalogue management including support for daily and hourly pricing and stock updates are just the start of eCommerce convenience with eTailThis. Customer management becomes far easier with our online sales solution, while eTailThis also has supply chain and distribution network expertise in Office Supplies, IT Equipment and Hardware, Office Furniture and facilities management supplies. Simplify order management with synchronised pricing and stock data with practically every major IT and office supplies supplier in the market. 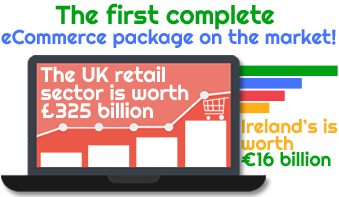 eCommerce is still one of the fastest growing areas in the retail sector for both the UK, Ireland, Europe and the rest of the world. In the UK eCommerce sales are expected to reach £52.3 billion by the end of 2015, up from £44.8 billion in 2014 and expanding to £60.3 billion in 2016. It is estimated that online sales make up just over an eighth of all retail sales in the UK, giving you a huge potential for improved profits, no matter which sector of the market your business works in. Online sales are a consistent growth area around the world, and now is really the perfect time to enter the eCommerce market or improve your current offering with the eTailThis eCommerce platform. Here at eTailThis, we’ve created the first complete eCommerce solution, with our platform covering absolutely every side of online sales. Improve your efficiency and market success with an eCommerce system from eTailThis. Our eCommerce platform is part of the first complete online sales solution. Built using powerful Magento software, the eTailThis solution is based on a single product feed from every major supplier in IT, office supplies and more. You can easily stock products from any number of distributors, add in your own products, and organise your online store with eTailThis. Features like quick database population, easy catalogue management and a front end which gives your customers a completely modern purchase experience make the eTailThis system the best choice for online sales. Our eCommerce solution is built for complete convenience for both you and your customers. The eTailThis system simplifies every form of management, letting you quickly edit catalogues, content,product data and access customer data. Automated order processing saves you a huge amount of time and money, while ensuring that no human error occurs. Your customers will also love the convenience our eCommerce system provides. Our search engine makes sure that they can find the products they’re looking for, with filterable searches, suggestions and more. We simplify user journeys from initial visit to purchase, improving your overall conversion rate, while our checkout system gives customers a range of payment gateway options for security and convenience. When you work with eTailThis you can maximise Cross-Channel eCommerce in a solution that already integrates with the key marketplace channels. That not only gives your business the opportunity to sell your products through a wide variety of available 3rd party marketplace channels but also greatly increases your customer base for a proper life cycle return on investment. Our eCommerce platform was built for absolutely maximised performance on every level. Sites built with the eTailThis system make it easy for visitors to find what they’re looking for, get the information they need and make a quick purchase. Online customers place a high value on convenience, and you’ll see people dropping out of making a purchase on every necessary step. That’s why eTailThis simplifies user journeys, making sure that your visitors make purchases. Single page checkout, shipping estimates in shopping carts and quick order fulfilment give your customers absolute convenience. Our sites also make it easy for you to implement Search Engine Optimisation (SEO) with simple options for meta descriptions, H tags, an informative URL structure and far more. This optimisation brings your site up in relevant search engine listings, bringing in more potential customers. With the eTailThis platform, price management is made easy. You can set up several different tiers of pricing, from wide ranging pricing changes for businesses and individual customers all the way down to per-customer pricing. Whether you’re simply setting prices to ensure a consistent profit per unit for both businesses and customers or want to create an incentives program for your most loyal customers, the eTailThis system makes it easy. Our platform lets you adjust prices in bulk, saving you time and money with convenient pricing options. Discounting items for a sale is easy, offering bundled and configurable items is simple, and setting up special pricing for particular groups is completely convenient. The eTailThis system was built for complete convenience, and the simplified catalogue management you get with our eCommerce platform makes it easier than ever to adjust your product offering. Our system gives you complete, simple configurability for all your products, including grouping and bundling features. Our system supports automatic image resizing and watermarking, giving your customers a direct look at the products you offer. The eTailThis eCommerce solution was built to drastically simplify product inventory management. Supplier synchronised pricing and stock level data ensures that your customers know exactly what’s available, while high powered search ensures they can find exactly what they’re looking for. Our system ensures that you stay up to date with your inventory, with support for backordered items, along with the ability to set up alerts when your stock hits a minimum level, and the ability to designate maximum quantities for products. Order management can be a time consuming process, and making mistakes can cost your business a significant amount. With the eTailThis system, it’s easier than ever before to manage orders in bulk, with our system helping you view, edit, create and fulfil orders from the simple admin panel. Every part of order management is significantly simplified as our system lets you create and update shopping cart information and create reorders with ease. Customer service is made simple, as our eCommerce system lets you adjust and create orders to accommodate for call centre ordering. Create new customer accounts, view shopping carts, wishlists, past orders and compared products, while selecting addresses, adding discounts and setting up custom prices from one convenient back end. 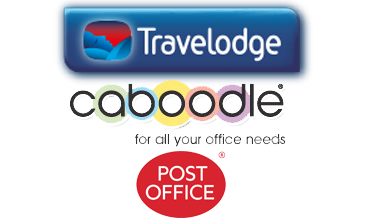 Order fulfilment is made simple, giving your customers a great level of service. Our eCommerce platform brings together all the information you need for customer service in a single, convenient to use section. Our Customer Relation Management system lets you provide customers with the personalised service they need in the modern day. When your customers set up accounts on your store, they’ll get access to a whole list of features including the ability to split orders for multiple addresses using an unlimited address book, the ability to view order status and history, easily reorder past purchases, and receive offers through a subscription to your email newsletter. Providing your customers with high quality, personalised customer service is a step that can set you aside from the competition completely. Our eCommerce system makes it easier than ever to respond to customers. Customers can track orders from their account and will receive email updates about changes to orders and accounts, eliminating questions about the location of orders. If customers have queries, simple Contact Us forms let them easily reach your support team, who can create, view and edit orders from the back end of our site. Depending on the level of permission you set up, your team can see information about orders, billing and more, making it easy to provide a detailed level of service, from simple tasks like setting up password resets to more challenging matters like solving missing orders. Our eCommerce platform makes it easy to upsell to customers, giving you the chance to improve sales and give your customers more of the products they want. You can display related products and cross sell items with ease, from individual items to product bundles. Every part of our platform was built for convenience, so customers can see a list of recently viewed products, making them more likely to head back and add those products to their cart. Stores built with the eTailThis solution including landing pages for products categories, making Search Engine Optimisation and Paid Search Marketing far easier, while letting you advertise a selection of products from each category. Our simple pricing management system lets you easily designate multiple tiers of pricing to give your customers quantity discounts, potentially pushing them to make larger orders. One of the most important factors in selling online is having a high quality website that gives your customers a convenient purchase experience. You’ll see a lot of potential buyers drop out for every unnecessary page they have to view while making a purchase, and that’s why the eTailThis system was built to simplify user journeys. From powerful, refinable search options to a simple, one page checkout, our system hugely boosts your conversion rates. With our eCommerce platform you can create bespoke themes and designs that fully match your brand identity, giving you complete control over text and on-site imagery. 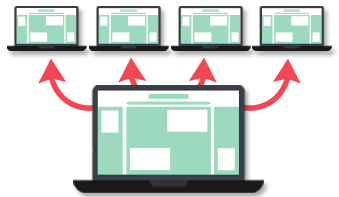 Our platform offers modernised design, with responsive layouts ensuring that your site works properly for customers using any kind of device, from desktops to smartphones and tablets. With our eCommerce platform, it’s easy to see exactly how your online store is performing. The eTailThis system is integrated with Google Analytics, letting you view conversions, bounce rates and time spent on your site along with a range of other statistics like demographics and more. With our eCommerce solution you’ll get all the information you need to maximise your online sales. From the admin dashboard, you can view a number of different reports: sales reports showing your performance online, tax reports including multi-national sales taxes and abandoned shopping cart reports, letting you understand how potential clients react to your site. The eTailThis eCommerce solution simplifies site management significantly, letting you spend your time on actively improving sales and more. If you’re giving admin access to multiple members of your team, you can set user permissions by account, letting certain staff use particular parts of the system, improving security significantly. You can also easily manage catalogue and customer information from the admin panel, letting you provide your customers with accurate stock and product data that appeals to them directly. Our platform includes a powerful Content Management System (CMS) which allows you to put together multimedia content for everything from individual products to landing pages, blogs and marketing emails. Maximise your search engine performance and give your customers high quality content with ease. With the eTailThis platform you can easily run multiple sites and stores from a single administration panel, letting you easily control separate sites for businesses and individual customers, run international sites in different languages, and far more. With the eTailThis TurnKey eCommerce solution, you’ll be able to hugely increase the range of products that your online store catalogue includes. Our system is integrated with the product feeds of practically every major distributor in office supplies and IT, giving you the ability to easily add new stock to your store. We’ve partnered with Open Range to give you high quality and consistent product data about practically every product in both IT and office supplies, so that your customers know exactly what they’re getting when they buy from you. Working with your wholesalers and distributors and our systems you can choose product ranges that fall in to different UNSPSC segments, family or commodity categories and add them to your site seamlessly. We’re dedicated to providing the first complete solution for online sales, so along with our powerful eCommerce solution, eTailThis offers a range of expert digital marketing strategies. 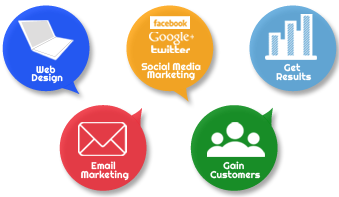 Digital marketing is a vital part of any complete approach to online sales, letting you establish your brand as a major figure in your particular market sector. 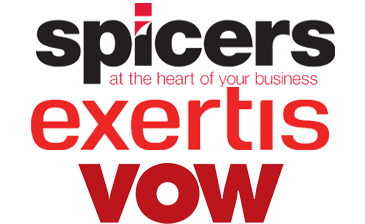 Whether you’re looking to get your name out to the widest possible range of potential customers, appeal to those looking for products and services like those you offer, or create a more solid brand identity, we will work with you to create a custom strategy that achieves exactly what you want. 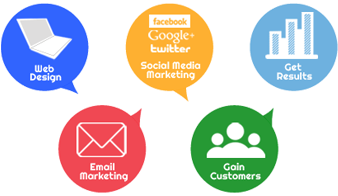 We can cover absolutely every kind of digital marketing, from social media management to high quality content creation, link building and far more. No matter what you want to achieve in the world of online sales, eTailThis is the best possible choice for your business. Search Engine Optimisation is a vital part of online marketing. 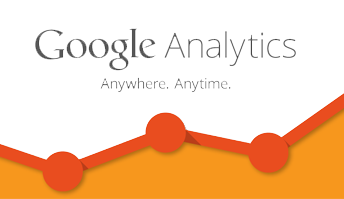 The majority of new customers initially reach sites through search engines like Google and Bing. 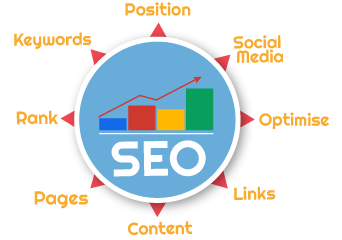 SEO is essentially about placing your site higher up the search listings for relevant terms, bringing in visitors interested in your services. eTailThis offers a complete SEO package, from site design to content creation and external link building. SEO is an integral part of sites built with our eCommerce solution, with easy support for meta description, H tags, simplified URL structure and far more. Our platform pushes you past the competition, improving search engine listings with ease to make you a major player in your sector of the market. 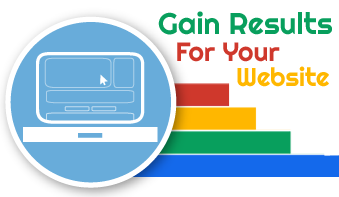 Pay Per Click advertising (PPC) is one of the most commonly used and most frequently misunderstood parts of online sales. By creating paid adverts to show up in search results and on targeted websites, you can bring in a huge amount of potential business. 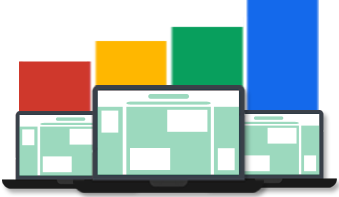 eTailThis are Google Partner certified experts in managing PPC campaigns to get the results that you want for you business. 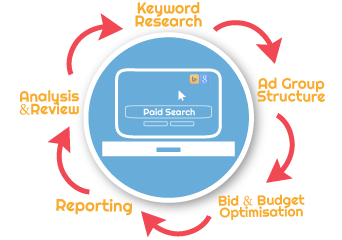 We can cover every side of Paid Search Marketing, whether you’re interested in reaching an interested audience with Google AdWords and Bing Ads, bringing past visitors back to your site through remarketing, running paid social media marketing campaigns, selling your products through third party channels or anything else. Search Engine Optimisation results in drastically improved placement in search results and an increased conversion rate from visitors interested in your site. eTailThis offers the only complete eCommerce solution on the market, giving your customers a level of efficiency and service that will keep them coming back. Stock Arena, our comprehensive single feed database compiles product information from all major distributors to give resellers complete convenience. The eTailThis comprehensive product data database lets you provide customers with all the information they need to make a purchase on your site. Good Content Creation is a powerful way to boost your online presence, demonstrate what your site is focused around and improve user experience. Email marketing is one of the most misused online advertising techniques, but when used correctly can really help a business and appeal to customers. Social Media Marketing lets you build an audience by posting original content that’s relevant to your site, bringing in customers and reputation. Link Building is all about building your site’s reputation and bringing in interested readers from other sites with original content linking to your page. Instantly reach a huge section of the market with the eTailThis system designed for suppliers and more. Make your products more visible in the market. With our eCommerce platform designed for resellers and more, you’ll get total convenience in dealing with suppliers and an efficient user journey. The eTrade system is the best solution for your eCommerce needs, with an efficient design, a comprehensive single feed database and more. With a good digital marketing strategy, your business can hugely improve visibility and profits, and we at eTailThis are certified experts in online marketing.